"Near this spot on December 11, 1921, Radio Station 1BCG sent to Ardrossan, Scotland, the first message ever to span the Atlantic on short waves. 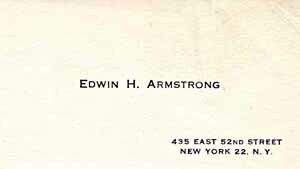 1BCG, an amateur station, was built and operated by members of The Radio Club of America." 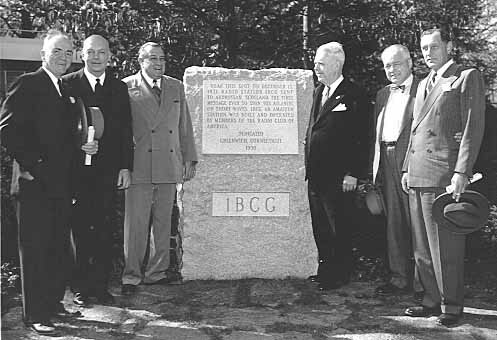 To quote a 1950 issue of the Club Proceedings: "An epoch in the history of radio communications was fittingly commemorated on Saturday, October 21st at Greenwich, Connecticut when The Radio Club of America dedicated a granite memorial to 1BCG, the first radio station to transmit a message across the Atlantic on short waves." Left to right: Paul Godley, Armstrong, George Burghard, W. A. Peck and Dr. Caldwell (both of Greenwich) and Ernest Amy. 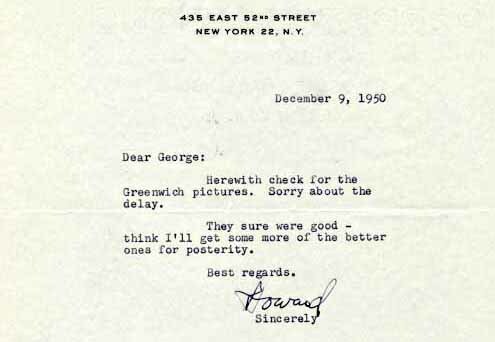 Letter from Armstrong to Burghard - it is unusual to see Armstrong sign "Howard". 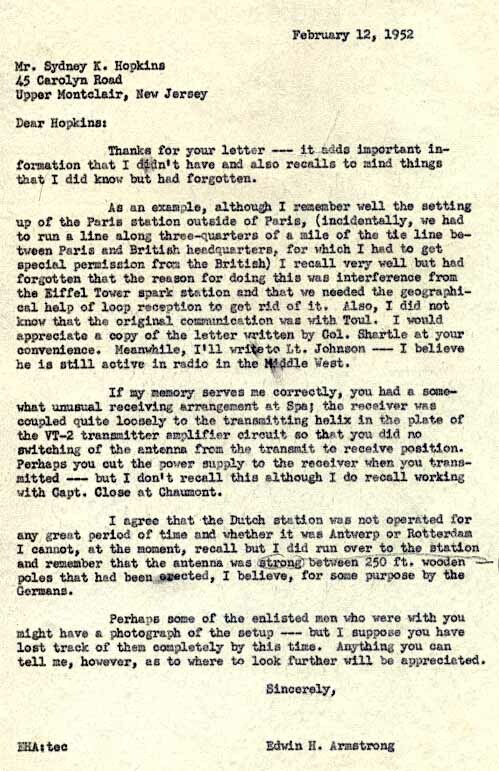 An interesting reply to a letter from a Mr. Hopkins whom Armstrong had met in France during WW1. 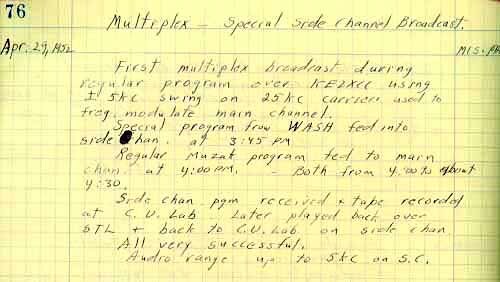 Armstrong's final great contribution to radio communication - perfection of Multiplex FM. From KE2XCC log book #4.